Stay calm – in many cases, the collector has made an error that can be resolved. Look over your bankruptcy pleadings and verify that the creditor was included in your filing and given notice of it. Confirm that your discharge order was entered and filed with the bankruptcy court. If you don’t know if you received your discharge, contract your bankruptcy lawyer or the court clerk for help. You should be sure to keep a copy of your discharge order with your important documents. 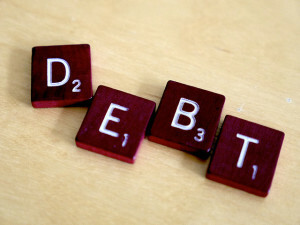 It is important that you understand that certain types of debts are not dischargeable. You must confirm that the collector is not attempting to collect a debt that was not discharged in your case. Most consumer debts such as credit card and medical debt is dischargeable. Once you verify that the creditor was included in your bankruptcy case, the debt the collector is attempting to collect was discharged, and your received your discharge order, contact the creditor and inform them. To be safe, we recommend confirming your conversation with the debt collector in a follow-up letter and providing them with a copy of your discharge order. Be sure to keep a copy of this letter for your records. The above steps should resolve the issue. However, if you take the above measures and the collector continues to contact or harass you, contact us for help. A creditor or collector that continues to ignore your bankruptcy discharge can be held liable by the court. The legal team at Faro & Crowder is ready to help. Our office is located in Melbourne, but we proudly serve businesses across the State of Florida. This entry was posted in Debt and tagged automatic stay, bankruptcy, collectors, debt collection, discharge on June 5, 2015 by Michael Faro.